How to create an affiliation product offer content? Today we will learn how to create a content item, and how to publish it in yout post and/or pages. In particular we will create an affiliation product offer using Amazon as content provider, and you will see that is something that takes 2 minutes (may be less !). 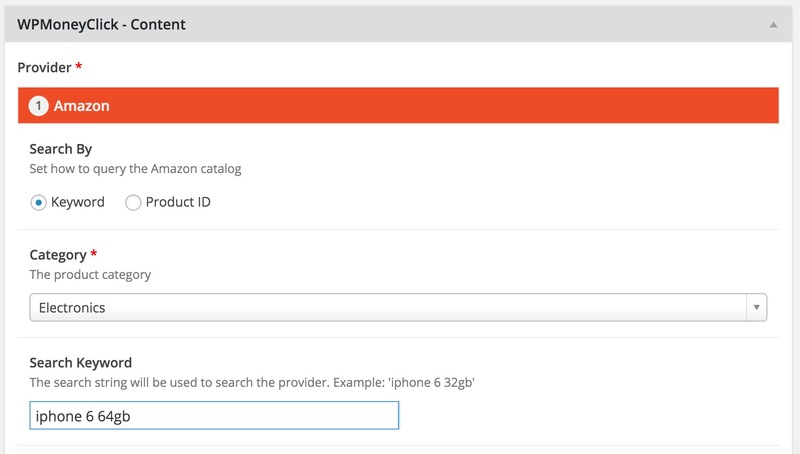 As you can see just after the content creation you can assign a title (‘iPhone 6 64GB‘) that will help you in recognizing the content. 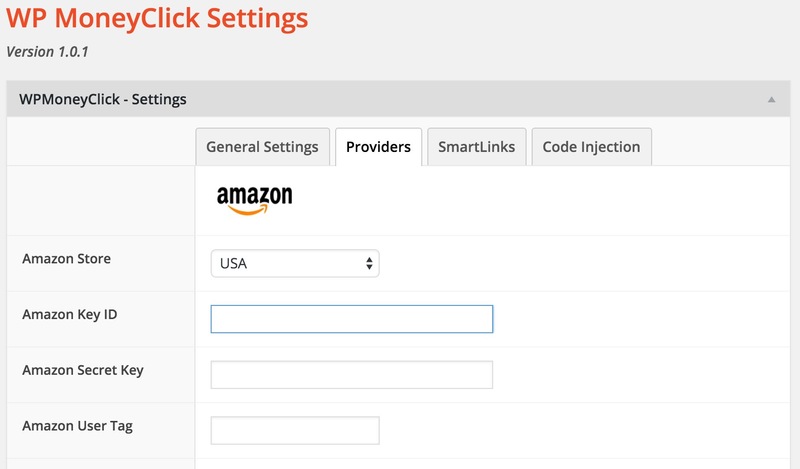 The system displays the shortcode and the smartlink for this content. For this tutorial what we will need is the shortcode. where 483 is the content ID (assigned automatically by the system). IMPORTANT: for a correct search is important to choose the right product category. You see that after the template you have to choose the ‘Display Mode‘. 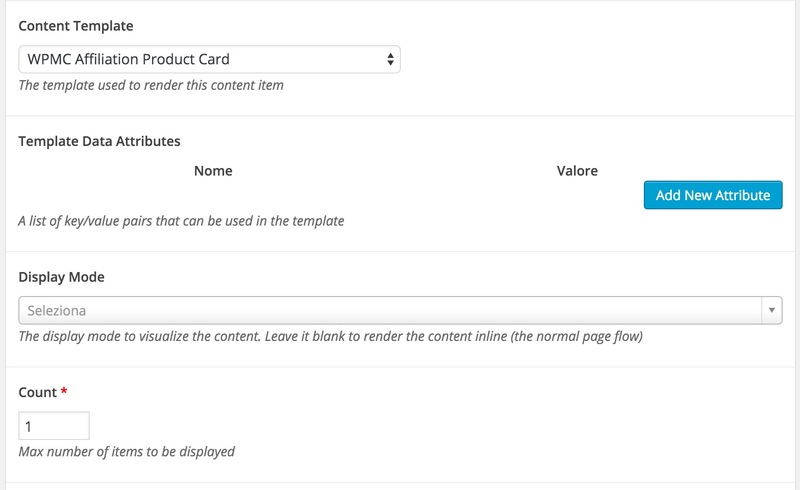 If the template is defining how the content will look like, the display mode is defining how the content will ‘enter’ in the page. 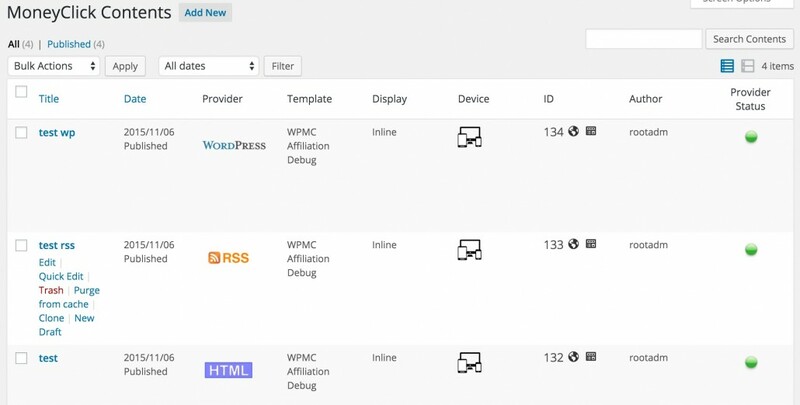 Leaving it blank (or choosing ‘WPMC Inline’) will just display the content in the normal page flow. Other possibile values are fixed top/bottom bars, popups, etc. But for the moment just keep it blank. If your preview looks like the picture above, it means that everything is working fine! Now you are ready to use this content wherever you need: in a blog post, in a page, in a dashboard widget: just copy and paste the shortcode [ wpmoneyclick id=’483′ ] where you need it. What about publishing this content in all my site posts? If you have a lot of existing posts, may be you want to publish product offers also in existing posts, without doing it manually one by one. In this case WP MoneyClick can help you a lot. Using the automatic publishing feature you can do it with just few mouse clicks. A detailed tutorial is coming soon ! 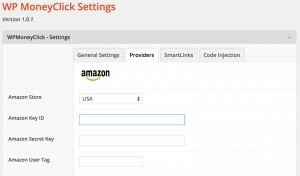 Did you configure the Amazon provider?